It has been more than three years since I teamed up with Dr. Dillard to create an educational book on sleep apnea. We created this book to help educate dentists and other physicians on sleep apnea, as well as the options available for treatment. This book can also be read by patients for further information. 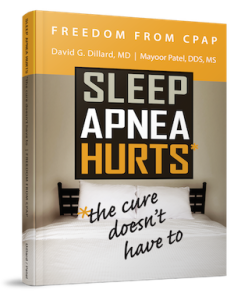 If you have not yet picked up “Freedom from CPAP: Sleep Apnea Hurts, the Cure Doesn’t Have To” then I highly recommend you purchase at least one copy now. Whether you read it as a dentist or you buy multiple copies to keep in your waiting room, the choice is up to you. And if you have already purchased the book, what should you do next? Let’s take a look at two ways you can use this educational book to help your patients and staff in the area of sleep apnea. The main purpose of this sleep apnea book is to get your patients “in the know” about sleep apnea. We work to inform you and your patients on sleep apnea and what it is–because not everyone understands this often debilitating sleep disorder. By understanding sleep apnea, your patients can take proactive steps toward better health. Whether you sell this book to your patient, or give it to them, allow your patient to read this book for further knowledge of sleep apnea and treatment options available. The goal of this book is to educate patients on what sleep apnea is and what treatment options, other than CPAP, are currently available for comfortable care. “Freedom from CPAP: Sleep Apnea Hurts, the Cure Doesn’t Have To” can also be a beneficial tool for your office to read themselves while also sharing the information with patients. Supply this book for your team, or have them purchase the book to improve their knowledge and understanding of sleep apnea. While it is important for patients to understand this condition, it is even more important for your dental office to know sleep apnea, what it is and how to treat it. Knowledgeable staff members go a long way in helping with diagnosis and treatment of your patients. The more your patients and staff know, the better they are equipped to take the next steps in sleep apnea recognition and treatment. Click here to purchase Freedom from CPAP: Sleep Apnea Hurts, the Cure Doesn’t Have To from Amazon. So many of our patients are currently suffering from sleep apnea and they might not even be aware of it. When people wake up feeling even more tired than before, we should be available to help provide recommendations and solutions. To help patients get the care they need, dentists should provide dental sleep medicine (DSM) in their practices. While you may already know a lot of information about dental sleep medicine, let’s revisit this topic. What is Dental Sleep Medicine? DSM is an area of dentistry that focuses on the use of oral appliance therapy to manage sleep-disordered breathing–that includes snoring and obstructive sleep apnea (OSA). Oral appliance therapy allows for a more comfortable treatment option for many patients that might be CPAP inept. A custom-fit oral sleep appliance is an effective form of treatment for preventing the airway from collapsing by supporting the jaw in a forward position. Dentists will work together with sleep physicians to help identify the best treatment option for each patient. What is Periodontology? It is a dental specialty that involves the prevention, diagnosis and treatment of diseases of the supporting and surrounding tissues of the teeth or their substitutes. It is also the maintenance of the health, function and esthetics of these structures and tissues. In other words, a periodontist is a dentist who specializes in the prevention, diagnosis and treatment of periodontal disease, as well as the placement of dental implants. What is the difference? While periodontology focuses on prevention, diagnosis and treatment, so does dental sleep medicine. However, dental sleep medicine dentists don’t do the diagnosing. 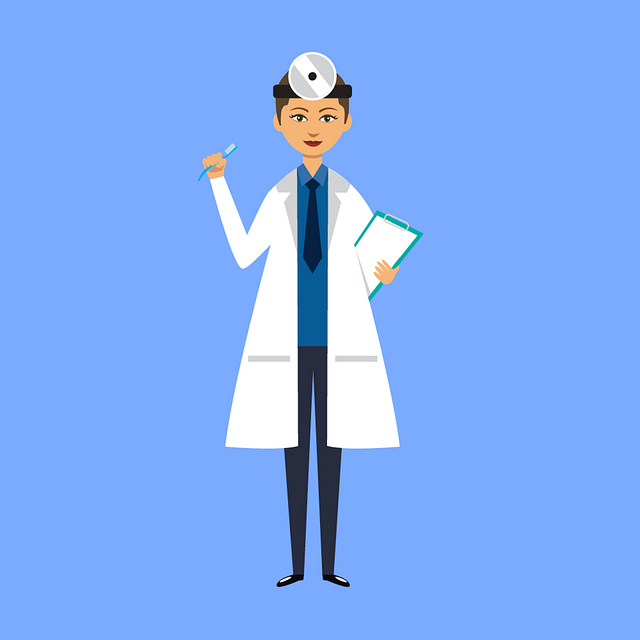 Instead, dental sleep medicine dentists work with sleep physicians to gain a diagnosis after they might have noticed signs of sleep disordered breathing or a patient’s responses to a questionnaire showed a possibility of this condition. From a diagnosis through a sleep physician, dentists can plan for proper treatment with oral appliance therapy. Dental sleep medicine is a team atmosphere in which we must work together to prevent, diagnose and treat our patients. Periodontology doesn’t require the same team alliance. That doesn’t mean it is any less important because it is extremely important for our patients. However, dental sleep medicine takes the treatment of our patients to a whole new level that works to improve their health and their overall well-being. What is the connection? Periodontology and dental sleep medicine can go hand-in-hand. Periodontology has been shown to affect the cardiovascular system and untreated sleep apnea affects it as well. Research has shown that periodontal disease is associated with several other systemic diseases. For a long time, it was thought that bacteria was the factor linking periodontal disease to other diseases, but, more recently, research has shown that inflammation may be the culprit. And, just like periodontology, sleep apnea also affects the body in the same way. By treating sleep apnea and periodontal disease, you can help your patients prevent further complications and systemic conditions. Dental sleep medicine is in and now is the time to take advantage by attending upcoming lectures and seminars to get your education going in the right direction.